Newspaper columnist Terry McCrann reaches a bigger audience than any other columnist in Australia. 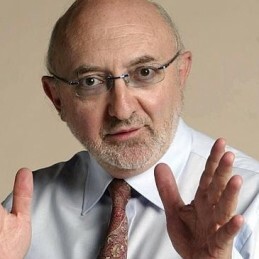 He is a former Graham Perkin Journalist of the year, Financial Journalist of the year, and winner of the Melbourne Press Club’s Golden Quill Award. Terry gained an Honours degree in Economics from Monash University. In 1975 he became Finance Editor for The Sun and the following year Finance Editor of The National Times. Two years later in 1978, Terry was appointed Business Editor for The Age. Joining News Limited in 1987, Terry is currently Associate Editor of Business for Melbourne’s Herald Sun newspaper, The Daily Telegraph in Sydney, and Courier Mail in Brisbane. A columnist for over twenty years, McCrann has provided critical analysis on the wide range of events and personalities that have shaped the nation, from the entrepreneurs to the politicians and has been at the centre of many of the great controversies and debates.